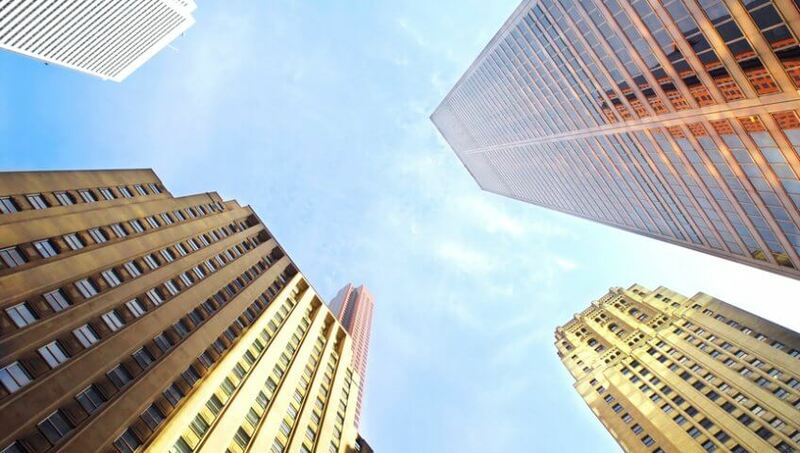 The R. Haupt Roofing Construction Blog | R. Haupt Roofing Construction Inc.
As a commercial property owner, you may be well aware of how critical your building’s roof is. This structural component plays a number of vital roles for you, including protecting the property from pest infestation and the elements, enhancing energy efficiency and more. Because roofs take the brunt force of Mother Nature, roofs may endure considerable damage over the years. When the time comes to repair or replace your commercial property’s roof, you understandably want to find the best professional to hire for the job. As you search for the right contractor to hire, keep these points in mind. One of the first steps you may take when looking for a roofer is to request an estimate for the work that needs to be done. Your roofer will likely provide you with an estimate, and only work with roofers that provide written estimates. More than that, read through the fine print in the contract to ensure that the quote is firm and that there are no allowances that may indicate the need for the roofing company to alter the cost after the work has been completed. While you want to steer clear of contractors that only provide verbal quotes or whose contracts are riddled with loopholes, you also want to shy away from working with professionals who are not licensed and bonded. Those that do not have proper licensing and insurance may try to tell you that such items are not needed or required. However, do your homework, and choose a professional who has the proper credentials. Furthermore, verify that the credentials are in good standing and current. A final and equally important factor to look for when hiring a roofing contractor is the level of service. The best contractors to hire are those that offer friendly customer service and that will arrive on time. In addition, they will also continue to work hard until the project is completed and the work area has been cleaned up. You can learn more about the level of service you may expect from different contractors by reading consumer reviews. It may seem like it takes a lot of unnecessary time and effort to walk through each of these steps to find the right contractor to hire. However, the condition of your roof can affect curb appeal, property value, structural integrity and much more. With this in mind, you can see that your selection of the right roofer is important. Take time to research the options carefully while focusing on these points. We meet all of these requirements and more, so if you need work done on your roof, get in touch for a free estimate! What is the Average Roof Life Expectancy? One of the most common questions property owners in the Los Angeles area have relates to how long their roof should last. Replacing a roof can be an expensive prospect, and many property owners understandably want to maximize the life of their roof. However, the answer to this question is not cut and dry, and there are several factors that ultimately will determine how long your roof will last. With a closer inspection of these factors, you may be able to more easily determine the life span of your roof. One of the more significant factors that will influence the longevity of a roof is the type of roof that is installed. 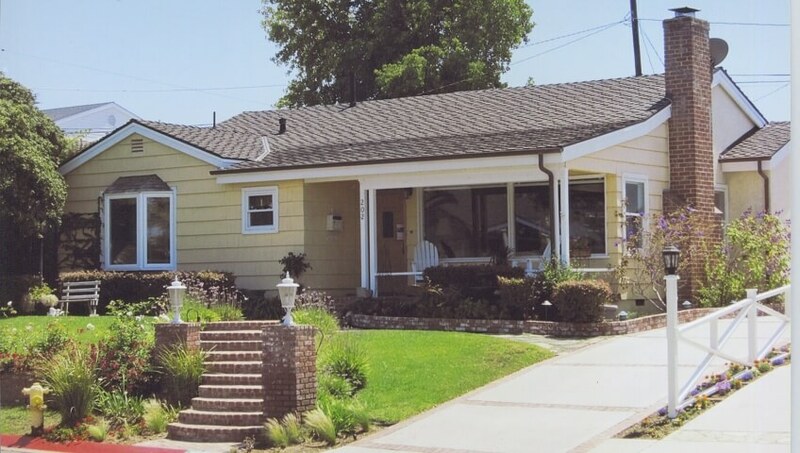 For example, asphalt shingle roofs are highly common on homes in the Gardena area. These roofs may be rated for 20 or 30 years in most cases. Tile and slate roofs are also very common. While they are more susceptible to damage from cracking or breaking over time than asphalt shingles are, they have a longer life span when they are well-maintained. In fact, they can easily provide you with a useful life of more than 50 or 60 years, and this means that this may be the only roof your property needs throughout your time of ownership. Each roofing type is unique, so you must first ascertain the roof type before you determine the longevity. In addition to roof type, the care and maintenance the roof receives over its lifetime will also be key in determining longevity. For example, because tile and slate can crack when weight is placed on them, care should be taken to avoid walking on them. Asphalt shingles can bend, bow or even fall off from time to time. This can impact the overall integrity of the entire roof. Identifying repair needs and making them when needed can increase the lifespan of a roof. A final point that will influence a roof’s longevity is local weather conditions. Gardena and Los Angeles are known for having a wonderfully mild climate, but there are times when high winds, damaging rain, and more blow through the area. In addition, even intense heat and harsh UV rays can cause damage to some types of roofs. We may not have the harshest climate, but there are instances when the climate can be a detriment to a roofing system. While reviewing these factors will give you a better idea about how long your roof should last, the best way to determine how much life remains in your roof is to get an inspection from a licensed and certified roofing team. At Haupt Roofing, we have been serving the Gardena community and other surrounding areas for more than 20 years, and we are available to inspect your roof without delay. Through an inspection, we can provide you with information regarding needed repair work to maintain your roof or the cost of an installation if a replacement is in order. What are the Best Roofing Shingles? Shingle roofing is a very popular choice for homeowners. Not only do your shingles protect your roof, but they will help to keep your home insulated, and can even increase the value of your home. With all of the different types of roofing shingles out there, it can be difficult to determine which ones are best for you. Knowing more about the different types of shingles can help make this decision a little easier. Asphalt shingles come in different types including organic and fiberglass. They come in different styles, sizes, and colors giving you a variety to choose from. Some of the styles and colors include, slate, weathered wood, charcoal, and barkwood. You can often save on your energy bills because most of these shingles meet the standards of Energy Star. They typically last about 20 years. A drawback of asphalt shingles is the material is a little weaker, so they have a tendency to crack or become damaged. Asphalt shingles also need to be used on a roof that has a sloop to it. They are often the most appealing type of shingle. Tile shingles are extremely durable, often lasting for about 80 years. Properties with a Mediterranean or Spanish style home often use these tiles. They are one of the most expensive types of shingles. They are quite heavy, so you will need to have your home checked to ensure the structure of your home can handle the weight. You will also want to take into consideration the budget you have for installation as they can be more expensive to install. Some of the problems you could have with tile shingles include small holes or cracks, leaks, or tiles that could break. They are one of the more expensive types of shingles. Any repairs that need to be done can be quite costly. They are a heavy type of shingle and your home would need to be inspected to ensure the structure could handle the weight of the shingles. They are one of the most environmentally friendly shingles you can buy. Wood shingles are quite durable typically lasting between 30 and 50 years. They are energy efficient, so they can help reduce your energy costs. Redwood and cedar are the two main types of wood shingles available. Measures will need to be taken in order to prevent mold and termites. They are not as fire retardant as other shingles. The installation process for wood shingles can be a bit more difficult. When it comes time to choose the best type of roofing shingles for your home, it is best to know all of the pros and cons about each option. This information will assist you in choosing the right ones for your home. If you have any questions about the shingles we offer or any other questions about our roofing company, please call us at (310) 679-6767 to discuss your needs and receive a free roofing estimate! The roof is the most important component of your home. If it is leaking or otherwise failing, it could put the entire house in danger of suffering damage or becoming unlivable for yourself and your family. What are some other good reasons to replace it as soon as possible? If you decide to put your home on the market shortly after you replace the roof, it will be increasingly attractive to buyers. They will be happy to know that a major piece of their new home won’t have to be replaced or need significant repairs in the next 20 years or so if properly maintained. Knowing that the roof is new may also be an indication to buyers that any attic that may exist is also in good condition as newer roofs generally don’t leak or suffer from mold or pest infestations. To further put buyer’s minds at ease, have the roof installation done by a professional Los Angeles roofer so that they know it was done correctly. A home with an updated roof tends to look better than one that has shingles missing or broken. Even if you aren’t planning on selling the property anytime soon, you will feel good knowing that your home is one of the best looking on the block. You will also feel good knowing that the home is protected against the elements for years to come, which will make the inside more comfortable as well. When it is time to replace the roof, it may represent a major expense for a new buyer. Unlike replacing wood floors or coating the driveway, a roof is not something that can be left unattended until there is money to take care of the problem. Therefore, a buyer may offer less to purchase the home to compensate for the thousands of dollars a new roof will cost. Remember, a leaking or worn down roof may also lead to mold, water damage and pest damage in a home, which could further reduce its value. However, new roofs may be energy efficient depending on the type of materials used. In addition to saving the next owner money, energy efficiency is in style with younger buyers. That could lead to a higher offer if your home is listed for sale. Replacing the roof may seem like an expensive repair that you aren’t overly excited about making. The good news is that it can help to lower energy costs, could add curb appeal and increase the value of your house, which may help you recoup some or all of that cost in the future. Most people who own a home will need to replace their roof after several years when it begins to deteriorate. Although most roofs can withstand different weather conditions, they will begin to break down due to materials that become worn. To ensure that you protect the integrity of your home, there are a few roofing materials to consider when installing a new structure. Here are a few popular choices that many homeowners enjoy! Clay tiles have been used for several centuries and offer a high level of insulation on buildings due to their shape. The material creates an Italian or Spanish Colonial design on the home with an upscale style that will increase the property value of the house. Clay tiles are extremely durable and can withstand high temperatures to reduce the energy usage on the property. They are also colorfast, which will prevent them from fading over the years with frequent sun exposure. This makes it easy to replace broken or missing tiles and allowing them to blend in with the rest of the roof. The average lifespan of clay tiles is 50 to 70 years, making it an ideal product to use if you don’t plan on moving in the near future. Slate is considered to be the most durable roofing material available and is constructed out of natural stone. This allows it to provide a high level of insulation for plenty of energy efficiency in the building. Slate is in high demand for its beautiful design and is known to last an average of 100 years. There are a variety of slate roof colors that are available, which includes green, gray, black, and red. 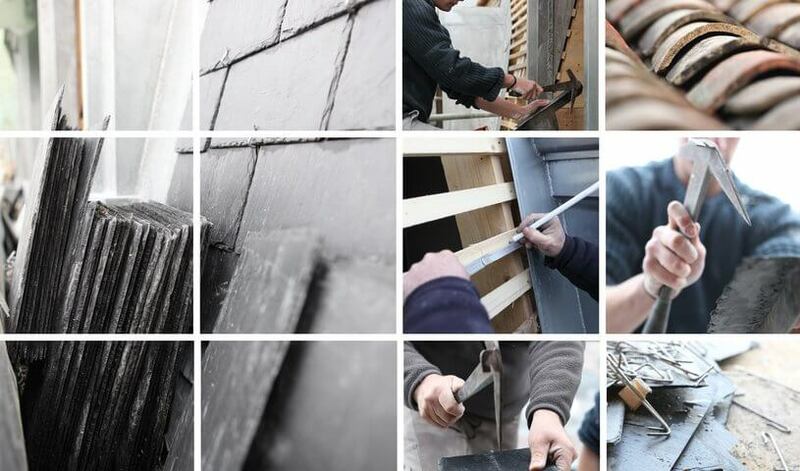 Those who decide to install a slate roof must have a building that is strong enough to support the heavy material or use reinforcements to prevent it from caving in. Asphalt shingles are the most popular roofing material to use in North America due to their affordability. Asphalt shingles can be used in different climates while still maintaining their durability. Asphalt shingles are available in a variety of different color shades and complement traditional single family homes. Although it can be challenging to know what type of roofing material to install on your home, it’s important to choose a product that is specific to the climate of the local area and fits your personal taste. By installing a new roof that looks attractive, you can increase the curb appeal of your home and continue to protect your home for years to come! It’s a question many homeowners don’t know the answer to: When should you consider replacing your residential roof? Since a roof represents a significant investment for most households, this is a serious matter to property owners. The home contractor website Angie’s List reports that, while prices vary based upon materials, location and project size, the average cost of a complete roof replacement in the United States totals around $12,000. (source) In some situations, this important home improvement runs upwards of $25,000. How should you determine when to make this type of expenditure? A homeowner may decide to replace a roof based on the recommendation of a professional roofer. 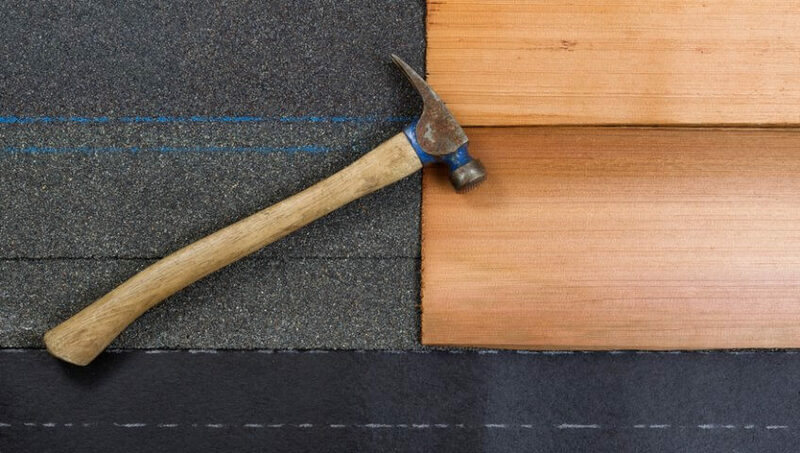 When the cost of necessary repairs equals or exceeds the cost of replacing the roof, or when an existing roof has exceeded the scope of its natural lifespan and now requires extensive renovations, a roofer may urge a homeowner to consider installing a completely new roof as a practical cost-saving measure. Purchasing a brand new roof often yields vital cost benefits. A leaking roof may damage the interior of the dwelling, costing additional thousands of dollars in repair bills. By contrast, a new, sound roof prevents dampness from creating mold and mildew problems within the residence. In other situations, a property owner resolves to replace an existing roof in order to take full advantage of new technology. For instance, in wooded mountainous areas, natural cedar shake roof tiles gained widespread popularity in the past. Yet these types of tiles easily catch fire and burn. Innovative new metal roofs may offer a far more protective, fire-resistant exterior. Alarmed by the issue of structural safety in locations subject to forest fires, homeowners frequently opt to replace cedar shake roofs in order to benefit from improved technologies. 3. Preference: You Simply Want a New Roof! Property owners also sometimes choose to replace an existing roof in order to transform the appearance of the property dramatically. Changing the type or color of tiles alters the decorative qualities of a residence. For instance, if a homeowner decides to install white vinyl siding with green trim, the property owner may decide to replace a red roof with a black or green one to carry forward a more unifying color scheme. Individual property owners vary widely in their willingness to replace a roof in order to enhance “curb appeal”, yet this motivation does frequently enter into a careful home improvement analysis. Dwellings with an attractive exterior appearance tend to sell more quickly when owners place real estate on the market. Most property owners give serious consideration to the issue of roof replacement. Weighing the advantages versus the disadvantages before making the jump will lead to a well-informed, satisfying decision on replacing your home’s roof. One of the best ways to select a roofing contractor is to ask friends or relatives for recommendations. You may also contact a professional roofer’s association for referrals. Professional associations have stringent guidelines for their members to follow. 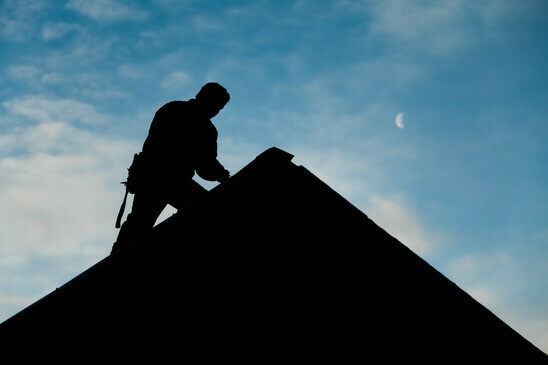 The roofer’s association in your area will provide you with a list of available contractors. Contact the Contractors State License Board at (800) 321-CSLB (2752) or visit the CSLB Web site at www.cslb.ca.gov. CSLB’s online license check allows you to verify that the contractor is licensed and to check the status of the license. You can also verify the contractor’s bond information, workers compensation policy information and if there have been any legal actions filed against the license by CSLB. The Web site also has links to professional associations and to other related state agency Web sites. Contact the Contractors State License Board at www.cslb.ca.gov or at (800) 321-CSLB (2752) to verify the contractor’s license. Make sure everything is in writing. The contract is one of the best ways to prevent problems before you begin. The contract protects you and the contractor by including everything you have both agreed upon. Get all promises in writing and spell out exactly what the contractor will and will not do. Your contract should call for all work to be performed in accordance with all applicable building codes. The building codes set minimum safety standards for construction. Generally, a building permit is required whenever structural work is involved. The contractor should obtain all necessary building permits. If this is not specified in the contract, you may be held legally responsible for failure to obtain the required permit. The building department will inspect your roof when the project has reached a certain stage and again when the roof is completed. Make sure the contractor carries worker’s compensation insurance and general liability insurance in case of accidents on the job. Ask to have copies of these policies for your job file. For more specific information on contracts, order or download CSLB’s free booklet, Home Improvement Contracts: Terms of Agreement. You should protect yourself from mechanics’ liens against your home in the event the contractor does not pay subcontractors or material suppliers. You may be able to protect yourself by having a release of lien clause in your contract. A release of lien clause requires the contractor, subcontractors and suppliers to furnish a certificate of waiver of lien. If you are financing your project, the bank or lending institution may require that the contractor, subcontractors and suppliers verify that they have been paid, before releasing funds for subsequent phases of the project. If problems arise during or after construction, talk to your contractor. Usually he or she will make corrections willingly. If your contractor refuses to make corrections, you may want to file a complaint with the CSLB. Gather all papers relating to your project, including contracts, change orders and cancelled checks. Order a free copy of CSLB’s “A Consumer Guide to Filing Construction Complaints” and the complaint form. Contact the Contractors State License Board at here or at call (800) 321-CSLB (2752) to get information on filing a complaint. The Board will investigate and mediate your complaint if it falls within the Board’s jurisdiction. 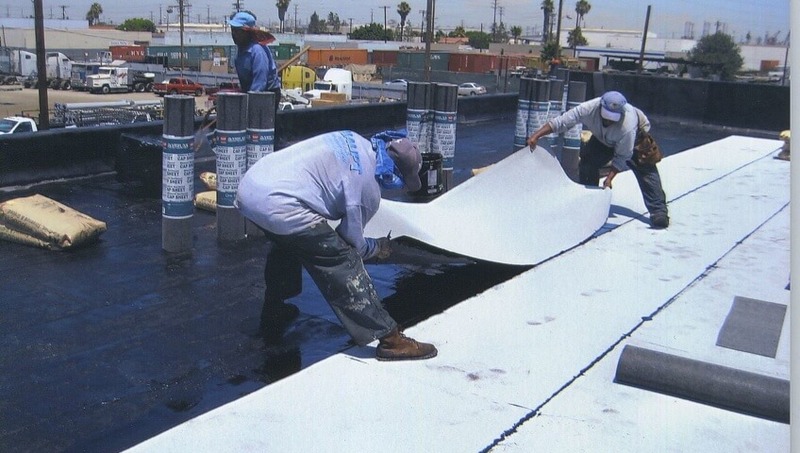 As the premier roof contractor in the Los Angeles Area, Haupt Roofing is your top choice for comprehensive roof maintenance for your commercial or residential building. For over 18 years we have been providing our valued customers with affordable, quality roof maintenance. Our attention to detail and skilled workmanship is what sets us apart. Haupt Roofing is fully licensed, bonded, and insured; we provide proof of insurance with every quote. Regular safety meetings are held, and all work is supervised by Jim Taylor, our senior project manger and quality control supervisor. Call today for a free, no obligation roofing estimate.